We would urge all Christians to investigate the Bible's teachings about what the purpose of Christianity really is. We rejoice with and welcome as a brother, any who have an authentic conversion experience, and commit their lives fully to Jesus as much more than a great teacher but actually the Son of God. Yet our prayer and labor on behalf of fellow-Christians is that we all come to a clearer understanding of what we are called to be and to do. Yes, Jesus commanded us to "Make Disciples out of all Nations"
The Great Commission indeed calls Christians to world-wide evangelistic work. But that does not imply that the work would be successful in converting all or most or even a significant percentage of the world's people. All nations or people-groups were mentioned, and indeed have been reached. But many scriptures emphatically state that at the time of Jesus' return, most of the world would remain in darkness vis-a-vis the authentic gospel message. Even if you count all of the people in "Christian nations", less than 25% of earth's population could be called Christian, even in the broadest, most watered-down sense. So what? Well, if we believe the claims of Jesus and his Apostles, the way to personal redemption was opened by Jesus. Whether you are an Arminian, who claims that salvation is the result of a personal decision to accept Jesus, or a Calvinist who states that faith is the direct result of God's sovereign selection of an individual for redemption, the fact is you have a problem. Either God is not capable of reaching a higher percentage of the world's population because of their hardness of heart, or perhaps because of the lack of commitment of Christians or else He has simply not chosen to redeem more than that minority percentage of earth's billions. Which is it? We believe the correct answer, neither Calvinism nor Arminianism, is clearly stated in the Bible. God is calling Christians to personal faith and obedience now. He is selecting a cadre of people who persist in "patient continuance in well-doing". He is scourging, and refining, and testing, and developing character in all true Christians. From among this group, no doubt from many or most sects, he is collecting a kindred body, the Body of Christ, who will serve in the future government of the world "when the times are ripe for it" as Weymouth renders the passage in Ephesians 1 which states this thrilling truth. Paul reminds the early church that they will be judging both men and angels along with their Lord, when they finally receive their new home in heaven. The picture Jesus paints is of his overcoming followers working at his side, shepherding the people of earth with a staff of iron. (Rev. 2:26). But they will be joined by an important and significant human co-regent the Jewish people. The Bible is quite clear that there would be a long period of tragic trouble upon the Jewish people. As a nation, they have indeed been tormented, as the parable of the Rich Man and Lazarus, as well as the prophetic warnings of Moses (Deuteronomy 28) foretold. But no true Christian ever persecuted a Jew, and one of the many crimes of the so-called Christian church has been, not only the bloodletting of millions of faithful Christian saints, but also the terrible grinding and frequent violence against the Jews. 1492, which to Americans symbolizes the year that door of opportunity opened for Europeans, was something quite different for the Jews. It was the year they had to either leave Spain or convert to Christianity at the point of a sword. Clearly, these crimes have been remembered by the Eternal, and He will repay. One of the greatest ironies of history was the Holocaust, which brought into bold relief just how bankrupt the nominal Christian church and its teachings have become. Imagine the scene at, say, Auschwitz where many eyewitnesses describe open pits of fire, in which the bodies of Jews and others, but primarily Jews, are being burned. Around the pits of this manmade hell race hundreds of tormented and frightened victims carrying rocks in their bare hands, without proper coats or shoes to protect them from the winter weather. And outside this circle of terrorized victims, some of whom cast themselves headlong into the flames to escape the madness, are the Nazi guards angrily shouting, pistol-whipping or kicking their victims to work them into a feverish frenzy of activity. Eye-witness accounts record that these beastly men even taunted their victims with the warning that, once they had perished in these man-made flames, they would endure an eternity of flames in a Hell prepared by God, especially for the nation that "killed God". At the end of the day the guards and SS officers, respectable members of their communities, and in many cases pillars in their churches, would go home to their wives and children, and on Sundays be consoled with the promise that because they had already accepted Jesus as their savior, they could confidently trust, because of his merit, that their sins would be forgiven and they would be ushered into everlasting life in heaven after their death. But the Jews who had not embraced the Jesus-God preached by the churches, would deserve the fate supposedly marked out for them in the Bible…everlasting torment by an angry God. Yuk. What an ugly picture. And who among the Christian world, who accepts the prevalent teachings of evangelical churches today, can deny that we have not exaggerated the events of the Holocaust or the logical implications of the teachings of mainstream churches? So again we ask Christians to re-examine the Bible. It reveals a much better plan, and a much nicer solution for all people, whether Christian, Jew, or Neither. The Bible is quite clear that the real “heavy lifting” in terms of bringing people back to God, will be done by the Jews. This is the clear teaching of Jeremiah 31, Zechariah 12, Zephaniah 3:9, Isaiah 60 .... and many other prophecies. The Bible teaches not one, but two ages of God's grace. The Christian age is a time for selecting a saintly few from the masses of "tares" that were predicted to fill up the world system during these years. The Messianic age, on the other hand, is promised to be a time when deception will vanish, bad leaders will be exposed and eliminated, and God will be actively engaged in conscious world-wide effort to teach God's laws to all the people who have ever lived. This is not some weird theory gleaned from a few proof-texts, but the main theme of the Bible. The flavor and geographic center of this world-wide, 1,000-year project, is decidedly Jewish. Why do you suppose the Jews are the only nation in history to be preserved in spite of a whole series of world-wide plots aimed at exterminating them? Yet they survived, and more than that, they are now back in their own land, with their old language and nationhood resurrected from the dead. God has great things planned for the Jewish people, and converting the world to God's ways is one of the most important. So our message to Christians is: acknowledge that the Jews are a major player in God's plans, and stop preaching at them condescendingly, as though they have to go through the low gate of Christian baptism, etc. in order to get back to God. The Jews are special recipients of God's grace already, and God has already demonstrated his love for them by rescuing them from the Holocaust, bringing them back to the Land, and forging them (through their many trials and troubles) into the sharp and useful tool that they will be when in His good time He is ready to bring His laws back into force throughout the world. They should re-evaluate the history of the Christian church in the light of Scripture and learn its lessons. Discover who is meant by the terms "Babylon" and "Jezebel". Abandon the corrupt church systems that God is even now judging and punishing for their false teachings and arrogant ways. The teachings of Revelation 17 through 19 should be clear to anyone whose conscience is informed by history and personal humility. Individual Christians have a responsibility to distance themselves from, and stop supporting, organizations and ecclesiastical systems that are not in fullest harmony with the teachings of scripture. And when once we see that the purpose of Christianity right now is NOT to convert the world, we can jump ship and stop trying to use some big, but flawed, organization to bring the message of God to every creature. The Great Commission, truth be told, has always been better fulfilled by personal witnessing efforts anyway not big crusades and advertising campaigns. The truth is that the biggest thing which keeps ordinary people all over the world from accepting Christianity is not their own hardness of heart, but rather the hypocrisy and historical hardness of heart of those who claim to love Jesus. The Christian world has made a grave mistake by assuming that God has rejected the Jewish people, or even that He is punishing them for killing Jesus of Nazareth. The Bible is quite clear that they are forever loved "for the fathers' sakes" - Abraham, Isaac, Jacob, etc. 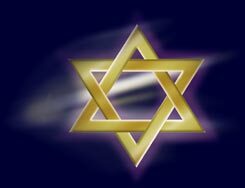 More than that - God has promised that the Jews will be recovered from their alienation and separation from God. resurrection for the entire world. (Romans 11:15) Paul goes on to say that God does not change his mind when he chooses those whom he will call, and give gifts to. As the Concordant version renders Romans 11:32, "God locks up all together in stubbornness, that He should be merciful to all." Paul gives one of the best summaries of the entire scope of human history when he states in Romans 2:8-10 that God is no respecter of persons; that He will be fair to all. He describes God as rewarding those who patiently continue in well-doing with eternal life. But God, Paul says, will deliver indignation and fury, affliction and distress, on every human soul that effects evil - to the Jew first, but also to the Gentile. And God will bring glory, honor, and peace to every worker of good, both to the Jew first, and then to the Greek. "To the Jew First," The punishments and humbling experiences which God has for the human race, for their benefit, are promised to the Jew first. And the blessings and peace which God has in store for all mankind (Isaiah 24:8, Rev. 21:1-4) will likewise be provided to the Jew first. So let's look at human history. Can it be said that the Jews have suffered more divine retribution (for that is what Paul was referring to - afflictions that are meted out by God), and suffered before, the rest of the human race? Throughout Jewish history, from Abraham to Malachi, the Jewish people have alternately benefited from and been punished by their close association with God. As the people of the Land and the Book, they have experienced alternating cycles of judgment and blessing from God. The other nations have had their moment on the stage, but the Jews keep returning. They are the stars of the show. Then, in Roman times, a long dark night descended upon the Jewish people, which was predicted by Moses, by Hosea, by Jeremiah. A major, and seemingly permanent, judgment from God had come. ghettoization of an entire people; the first genocide. Like the Tutsis, the Jews have suffered at the hands of their next-door neighbors; unlike the Tutsis, they have never held dominating authority over their neighbors, and they have suffered their fate in a dozen different centuries and thousands of independent episodes. that it cost them the war. If patriotic German Jews had been left unpersecuted and allowed to be productive, the irony is that Germany may have won the war! Yet so vicious was the Nazi hatred of the Jews that they persisted in it at all costs, to their own self-destruction. The fact is that Jews have been blessed above all other nations, and have contributed more than all other peoples to the well-being of the human race. They have been marked for destiny, for hope, for leadership, for excellence, for success, for education, for compassion, for sympathy, for articulateness, for moral complexity and for prominence. "You alone have I known of all the families of the earth" writes the God of the Bible through the Prophet Amos in Amos 3:2. No wonder the Jewish people, in spite of their constant drinking of the dregs of persecution, have contributed more than anyone else to what is good and noble in human history. For example, take Nobel prize winners. Jews make up just a few tenths of 1 percent of the world's 6 billion people, but they have contributed 1000 times their quota of Nobel prize winners - 140 of the 663 prizes given out from 1901 to 1995 - 21% of all Nobel prizes given, and half of the Nobel Prizes for Medicine between 1908 and 1995! We can and should thank the Jewish people for giving us the Bible, and the whole system of Jewish laws written by Moses. We should thank the Jewish people for giving us the Talmud, with all its rich insights into ethics, logic, language and humanity. We should thank the Jewish people for giving us Christianity in its purest form, before it became polluted with Greek philosophy and Roman pagan and organizational concepts. We should thank the Jews for giving us the basic premises and intellectual impulse upon which modern scientific inquiry is based, and the indomitable spirit which undergirds western rational traditions of democracy, journalism, medicine and law. Where would our literature and family lives be if we did not have the Biblical stories - Jewish stories - of the redemption of Joseph and his brothers, of the faith of Abraham and his son, the judgment of Moses, the victories and defeats of David, the wisdom of Solomon, the self-sacrifice of Jeremiah, the courage of Nehemiah, the teachings of Jesus, the failures of Peter, the struggles of Paul, or the heroism of Bar Kochba? Yet wherever we find anger, hatred, violence, and the ugliest corners of the human condition, we find another kind of Jewish prominence. We find the Jews occupying first place on the list of "enemies". Jew hatred unites white supremacists in Utah, neo-Nazis in Germany, cultural snobs in France, mullahs in Oman, sheiks in Saudi Arabia, and homicide bombers in Jericho. Not because of anything that Jews have ever done to them - the fact is, that in every country where anti-Semitism has flourished - and that is most nations on the globe - the people of that country benefit greatly from however many Jewish people are allowed to contribute to their society. Just as the prominence of Jewish people - their success - is a result of the blessing of God, their curses of opposition, betrayal, and trouble are the direct result of the opponents of God. Since the Garden of Eden, those whom God has blessed must resist and gain victory over those who hate and oppose the works and ways of God. Though the Jews themselves are often reluctant to admit this fact, God's Jewish children have suffered primarily because of the sworn enemies of the God of Abraham - who happens to be the Master of the Universe. And the enemies of Israel will be exposed and punished by God himself. As Isaiah concludes in the last verse of Chapter 49: "I will make your oppressors eat their own flesh. They shall be drunk with their own blood as with wine. And all mankind shall know that I the Lord am your savior, the Mighty One of Jacob, your Redeemer." To all Christians, and to all others of the world, we say: These promises are sure of fulfillment. There is a great and good God in heaven. A God who loves Israel, and has promised to bless them before he blesses all other nations. And the presence of Israel today, on the same soil that was promised to them as their eternal home, is proof that God is serious about his love and commitment to the Jewish people. Start thinking, not about how you can get Israel to give that land away, but how you can get in step with the plans God may have for you.